NASA research has found that half of all stars in the universe have Earth-like planets orbiting around them, raising fresh hopes of finding alien life. Numerous public figures from eminent scientists to politicians have stated their belief in the existence of alien life forms and UFOs. Last year, the revered physicist and cosmologist suggested that extraterrestrials almost certainly exist but that humans should be taking steps to avoid them rather than seek them out. “We only have to look at ourselves to see how intelligent life might develop into something we wouldn’t want to meet. The astronomer royal last year said he believed aliens could well exist and warned that they might prove to be beyond human understanding. “I suspect there could be life and intelligence out there in forms we can’t conceive,” he said. “Just as a chimpanzee can’t understand quantum theory, it could be there are aspects of reality that are beyond the capacity of our brains,” he said. Bulgarian government scientists from the country's Space Research Institute claimed two years ago that they were already in contact with extraterrestrial life. They claimed that experts were trying to decipher a complex set of symbols sent to them, after posing aliens a list of 30 questions. Mr Filipov deputy director of the Space Research Institute of the Bulgarian Academy of Sciences, revealed that the centre's researchers were analysing 150 crop circles from around the world, which they believe answer the questions. "Aliens are currently all around us, and are watching us all the time," Mr Filipov said. "They are not hostile towards us, rather, they want to help us but we have not grown enough in order to establish direct contact with them." The former NASA astronaut claimed in 2009 that alien life exists but that the US government was covering up the evidence. Mr Mitchell, who was part of the 1971 Apollo 14 moon mission, made the claims in a talk to the fifth annual X-Conference – a meeting of those who believe in UFOs and other life forms. He also said he had attempted to investigate the 1947 'Roswell Incident', which some believe was the crash-landing of a UFO, but had been thwarted by military authorities. He said: "We're not alone. Our destiny, in my opinion, and we might as well get started with it, is [to] become a part of the planetary community. ... We should be ready to reach out beyond our planet and beyond our solar system to find out what is really going on out there. "I urge those who are doubtful: Read the books, read the lore, start to understand what has really been going on. Because there really is no doubt we are being visited. "The universe that we live in is much more wondrous, exciting, complex and far-reaching than we were ever able to know up to this point in time." The US President from 1976 to 1980, promised while on the campaign trail that he would make public all documents on UFOs if elected. He said: "I don't laugh at people any more when they say they've seen UFOs. I've seen one myself." The Korean and Second World War soldier, said in 1955 that "the next war will be an interplanetary war. The nations of the earth must someday make a common front against attack by people from other planets. The politics of the future will be cosmic, or interplanetary". 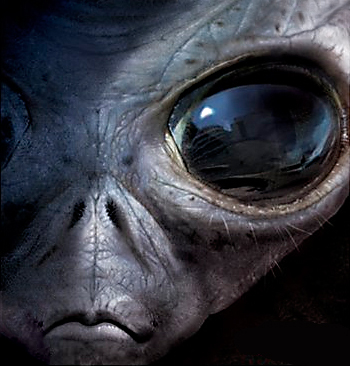 The Vatican theologian, said: "Extraterrestrial contact is a real phenomenon. The Vatican is receiving much information about extraterrestrials and their contacts with humans from its embassies in various countries, such as Mexico, Chile and Venezuela." 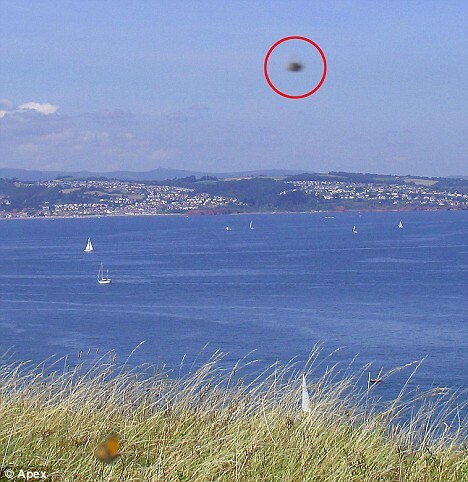 The Second World War RAF Fighter commander during the Battle of Britain once said of UFOs: "I am convinced that these objects do exist and that they are not manufactured by any nations on earth." The US President from 1980 to 1988, claimed he had seen a UFO himself. He said: "I looked out the window and saw this white light. It was zigzagging around. I went up to the pilot and said, 'Have you ever seen anything like that?' He was shocked and he said, 'nope.' And I said to him: 'Let's follow it!' We followed it for several minutes. It was a bright white light. We followed it to Bakersfield, and all of a sudden to our utter amazement it went straight up into the heavens. When I got off the plane I told Nancy all about it." The USSR's last head of state: "The phenomenon of UFOs does exist, and it must be treated seriously."